Can You Handle Dating Scorpio Woman? So you've met a scary woman... Oops! Sorry about that! That ought to read "So you've met a Scorpio woman" and you'd like some insight into how she operates. You're in luck because this tongue in cheek astrological dating article on Scorpio women aims to teach you a thing or two about this mysterious, and sometimes very scary, woman. Don't worry, she doesn't bite -- Scorpions sting. I probably shouldn't start out with this one, but hey, you should know this upfront. When they came up with the Hell hath no fury line, there is no doubt in my mind that they were thinking of a Scorpio woman. 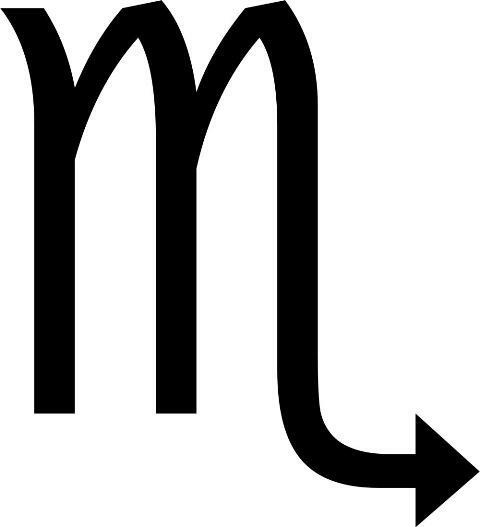 One need only look in the eyes of a Scorpio woman to see they are constantly calculating the angles even when they are smiling and having a good time. Scorpio woman may forgive your transgressions but she ain't about to forget them, and you'll be forced to remember all of them in grand style if you ever push her past her threshold of tolerance. These women can be absolutely vicious. To this day the most vicious woman I've ever known was a Scorpio. She was also the most perceptive and you couldn't walk past her without having the feeling that she was reading your life history just by glancing at you. She said some of the meanest things you could imagine to her colleagues, and for the longest time I thought she was just evil incarnate. And then one day I realized how much tragedy she'd had in her life and I realized this was all a massive covering up of a very broken heart and spirit. Mind you, just because someone's probably kind on the inside doesn't mean they can't still sting you from the outside! Most of the Scorpio women I've met have not been classically beautiful, but they have been very attractive in a magnetic sort of way. It's difficult to explain how, but most men will stare at a Scorpio woman even if they're not quite sure what it is that's attracting them to her. She's very mysterious, even when she's not trying to be. Something that Scorpio and Aries women (like myself) have in common is that we both know we need men who are stronger and more dominant than ourselves. You cannot be a wuss and date a Scorpio woman -- you just won't survive. You don't have to be a control freak or a jerk, you just need to be a real man. And if you don't know what that means, it's best you skip to the next astrological sign before this one eats you for breakfast. How to get a Scorpio woman back: You'd have to prove your innocence and prove it well!